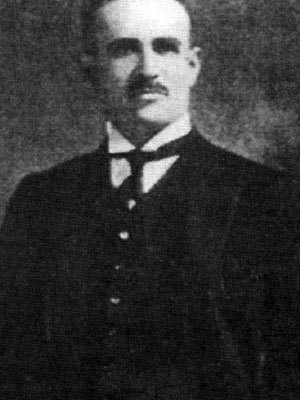 An American-educated lawyer, Vahan Cardashian became the pioneer of the Armenian Cause lobby in the United States at the beginning of the twentieth century. Cardashian was born on December 1, 1883, in Caesarea (actual Kayseri). He lost his father at an early age, and, after elementary education at a local Armenian school, he attended the French lyceum and the Talas American College. In 1902 he immigrated to the United States and attended the law school at Yale University from 1904-1908. In 1907 he married Cornelia Alexander Holub, a women rights advocate. Meanwhile, he published several books, A Brief Commentary on the Eastern Question, The Ottoman Empire of the Twentieth Century, and Actual Life in Turkish Harem. "I have information, bearing on the program of the Turkish Government, to be put into operation in the event of Turkey’s being involved in the European War with reference to all the native and foreign Christians in Turkey . . . Unless some powerful restraining forces are brought into play from without, you can rest assured that the Turk, with the opportunity for untrammeled action, such as he now believes to enjoy, will perpetrate upon helpless humanity the most ghastly horrors of his entire loathsome career." When the Ottoman embassy discovered Cardashian’s backdoor work, he was fired. In early 1916, he sued for divorce from his wife. At the end of the war, Cardashian relied on his diplomatic and high society contacts to spearhead a lobbying effort, to which he committed his own personal resources. To reach beyond the Armenian American community, he founded the American Committee for the Independence of Armenia (ACIA) in December 1918. He gathered there some of the most prominent names of the day in American politics: James W. Gerard, former ambassador to Germany, who was the driving force of the ACIA along with Cardashian and the chairman of its Executive Board; Charles Hughes, 1916 presidential candidate of the Republican party; William Jennings Bryan, former Secretary of State; senator Henry Cabot Lodge (Massachusetts); and many others. Cardashian’s tireless efforts included tours, letter campaigns, a flood of editorials in various newspapers, memoranda to the highest rank of officials, and many books and pamphlets. The ACIA advocated for American recognition of the Republic of Armenia and an American mandate. It had 23 branches in thirteen states. In the end, the ACIA efforts were fruitless, as the isolationist majority in the Senate, ironically headed by Lodge himself, rejected the American mandate over Armenia in May 1920. A few months later, the independent republic collapsed, and the Armenian Cause took another direction. However, Cardashian did not calm down. In 1924 he created the American Committee Opposed to the Lausanne Treaty (ACOLT) and led a successful campaign to block the ratification of the Treaty of Lausanne by the U.S. Senate. The ratification was rejected by the Senate in January 1927, citing Turkish failure to execute the Arbitral Award of President Woodrow Wilson as the main cause. Exhausted and penniless after a two-decade long crusade for Armenian rights, Vahan Cardashian passed away on June 9, 1934, at the age of fifty-one. He was buried in Cedar Grove cemetery in Long Island. The legacy of the lone crusader for the Armenian Cause is a remarkable example for future generations.